Question: I read about financial projections and market numbers, but the specifics vary a lot. 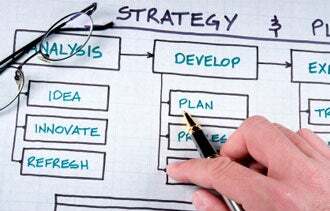 What financial projections does my business plan need to include? Answer: Obviously you should tailor your business plan to your specific needs, but given the realities of business, we almost always have to deal with certain basic financial projections. Even if you're running a nonprofit organization, you can't escape the money, nor should you try. You have to have a plan to make sure you have cash in the bank. It's hard to imagine a business plan that doesn't need that. Almost all of finance and accounting deals with three fundamental financial statements: the income statement (also called profit and/or loss); the balance sheet; and the cash flow. But there's a critical difference between accounting and business planning. Accounting essentially reports on past transactions, putting them into these three statements (which you could also call tables). Business planning looks to the future. It uses estimated guesses of monthly results to try to project how these statements will look in the future. The income statement, whether it's projected or historical, is about profits and/or losses. It shows financial performance over a specified time, like a month, quarter, or year. The format for projected income in your business plan is the same as for income statements in accounting. The income statement starts with sales. Then it shows the direct costs associated with those sales. Depending on your business, those may be unit costs, cost of goods sold, or direct costs of delivering the service. Subtract direct costs from sales and you get gross margin, usually in dollars and percent. Gross margin is useful for comparing your business' performance to industry standards, and bankers and financial analysts expect to see it. From there we subtract expenses, including interest and taxes. That gets us to profits--the famous "bottom line." In business planning you can't really do an income statement, because you often don't have income to report. Instead, you draw up a projected income statement, also called pro forma income statement. It follows the same format, but it's all about the future and therefore takes some educated guessing. You make your best guess as to what your monthly totals will be, and go from there. The balance sheet is a statement of a company's financial position at one specified moment in time, such as the end of the month or end of the year. It shows assets, liabilities, and capital. Assets are normally cash, money owed to the company, and business property and equipment like chairs and tables, the espresso machine, vehicles, etc. Liabilities are debts: money the company owes as accounts payable, and loans to be paid. Capital is money invested in the company, which usually includes initial investment and retained earnings. Recent earnings are normally included in capital, so they provide the link back to the profit or loss. In a business plan we talk about the projected, or pro forma, balance. It's another educated guess, in this case a guess about what assets, liabilities, and capital will be in the future. And one magic equation, essential to the whole set of tables, is that assets must always be equal to the sum of liabilities and capital. If that isn't true, then the balance isn't in balance, and something is wrong. The cash flow statement sometimes feels like an afterthought in accounting statements, but in business planning, cash flow is essential. Make mistakes here, and you'll end up bouncing checks. The cash flow statement pulls information from both the projected income statement and the projected balance sheet, and ties them together. It shows money coming in, month by month; money going out, month by month; and the projected cash balance. The reason cash flow is so important is that the income statement doesn't necessarily reflect all the money. There might be sales that haven't been billed yet, for example. And the balance sheet doesn't necessarily reflect all the money either. There might be loan repayments, or new loans, or new investment, or buying of assets, none of which show up on the income statement. The cash flow statement ties the other two statements together. And there are some other tables that are common, but, depending on your specific situation, they may not be essential. That list would start with market projections and market numbers, such as the size of the potential market, the total addressable market, and/or market growth. Most people would consider these essential for companies seeking investment, because investors want to know about the market. Other common financial tables are the projected break-even analysis, and the projected valuation at exit. The relevance of these other tables depends upon the exact use of the plan. But the big three--the projected income statement, the balance sheet, and the cash flow statement--belong in almost every plan.